Hey earthling! Where can I get a pair of those black high top chucks? Films on this page: Ma vie en rose, Madison, Magic Kid, The Magic of Marciano, Making the Grade, The Maldonado Miracle, Mallrats, Mamma Mia!, Mamma o papà?, Man in the Chair, The Manhattan Project, Martian Child, Matinee, Max, Max 2: White House Hero, Max is Missing, McBain, Mean Dreams, Mean Girls, Meatballs Part II, Meet the Applegates, Men Don’t Leave, Men in Black 3, The Messengers, The Midas Touch, Midnight Madness, The Million Dollar Kid, Mimon, Mind Games, Miracle Dogs Too, Miracle in Lane 2, Mischief, Mr. Holland’s Opus, Mr. Nanny, The Money Pit, Monkey Trouble, A Monster Calls, Monster High, Monster Night, Morgan, Motorama, The Mudge Boy, Munchie, The Muppets, My Bodyguard, My Dead Boyfriend, My Girl, My Girl 2, My Magic Dog, My Science Project, My Soul To Take, Mystery Date, Mystery Kids, Mystery Men, Mystery Monsters, Mystery Science Theater 3000. The Mystical Adventures of Billy Owens. Ma vie en rose. (1997) Georges Du Fresne, Michele Laroque, Jean-Phillippe Ecoffey, Helene Vincent, Daniel Hanssens, Laurence Bibot. Written and directed by Alain Berliner. Ludovic is a young boy in a large family who likes to cross-dress, thinks that a miracle will allow him to become a girl, and talks of marrying his neighbor’s son. All of this is upsetting and causes intense reactions in his bourgeoise neighborhood and within his family. Madison. (2001) Jim Caviezel, Jake Lloyd, Mary McCormick, Bruce Dern, Paul Dooley, Brfent Briscoe. Written and directed by William Bindley. Jim McCormick and his son Mike are determined to race the pride of Madison, Indiana, a dilapidated hydroplane racing boat, but are beset by all kinds of problems. Magic Kid. (1994) Stephen Furst, Shonda Whipple, Ted Jan Roberts, Joseph Campanella. Written and directed by Joseph Merhi. A young karate black belt and his sister go to California to visit their Uncle Bob, who they discover is a second rate movie agent in debt to the mob. The two help him escape from the enforcers sent by the mob boss to collect on Uncle Bob’s debts. The Magic of Marciano. (2004) Cody Morgan, Natassja Kinski, Robert Forster, Jason Cairnes, Will Cochran, Eugene Clark, Jennifer Overton. Written and directed by Tony Barbieri. Unable to focus at school and desperate to escape the fighting between his mentally ill mother and her abusive boyfriend, 9-year-old James wanders the docks of his quiet coastal town until he befriends Henry, a middle-aged retired psychiatrist who’s building a boat to sail around the world. Although James’ fantasy is for Henry and his mother to form a relationship, it isn’t meant to be as his mother’s condition worsens and he is placed into foster care. Making the Grade. (1984) Judd Nelson, Jonna Lee, Carey Scott, Dana Olsen, Andrew Dice Clay, Scott McGuiness, Gordon Jump, Walter Olkewicz, Ronald Lacey. Directed by Dorian Walker. A wealthy, spoiled teenager pays an impersonator from a poor family to stand in for him at his exclusive prep school. The Maldonado Miracle. (2003) Peter Fonda, Mare Winningham, Ruben Blades, Eddy Martin, Bill Sage, Dan Merket, Soledad St. Hilaire, Scott Michael Campbell. Directed by Salma Hyeck. A small, dying border town is revitalized when a statue of Jesus in the town chuch seems to be shedding real blood. But was it a miracle or due to the presence of a wounded illegal Mexican boy who hid in the church? Mallrats. (1995) Shannen Doherty, Jeremy London, Jason Lee, Claire Forlani, Ben Affleck, Joey Lauren Adams, Renée Humphrey, Jason Mewes, Kevin Smith. Directed by Kevin Smith. Two teens who have lost their girl friends retreat to the mall to brood and then decide to try to win them back with the assistance of two delinquent friends. Mamma Mia! (2008) Meryl Streep, Pierce Brosnan, Colin Firth, Stellan Skarsgard, Amanda Seyfried, Dominic Cooper. Directed by Phyllida Lloyd. The story of a bride-to-be trying to find her real father told using hit songs by the popular 1970s group ABBA. Mamma o papà? (2017) Antonio Albanese, Paola Cortellesi, Marianna Cogo, Luca Marino, Alvise Marascalchi. Written and directed by Riccardo Milani. A divorcing couple both receive job offers of a lifetime abroad, but don't want custody of their three children to complicate things, which leaves the decision to the children. The two get into a feud of bad behavior, seeing who can behave the worst so the children will choose the other parent. Man in the Chair. (2007) Christopher Plummer, Michael Angarano, Joshua Boyd, M. Emmett Walsh, Robert Wagner, Taber Schroeder, Mitch Pileggi, Mimi Kennedy, Ellen Geer, George Murdock, Allan Rich. Written and directed by Michael Schroeder. Cameron Kincaid, a high school student from the wrong side of the tracks who has a dream of becoming a film director, forms an unlikely friendship with Flash Madden, a bitter old gaffer living in a film industry retirement home. Kincaid persuades Madden and his other retired industry colleagues to help him make a student film, learning much about life in the process. Categories: Comedy, Drama, Coming of Age. The Manhattan Project. (1986) John Lithgow, Christopher Collet, Cynthia Nixon, Allen DeCheser, Jill Eikenberry, John Mahoney. Written and directed by Marshall Brickman. A teenager wants to win a science fair competition and surprise the world by making an atom bomb from plutonium stolen from a scientist dating his mother. Martian Child. (2007) John Cusack, Amanda Cusack, Amanda Peet, Bobby Coleman, Sophie Okonedao, Oliver Platt. Directed by Menno Meyjes. A science-fiction writer, recently widowed, considers whether to adopt a hyper-imaginative 6-year-old abandoned and socially rejected boy who says he’s really from Mars. Matinee. (1993) John Goodman, Cathy Moriarty, Simon Fenton, Omri Katz, Lisa Jakub, Kellie Martin, Jesse Lee. Directed by Joe Dante. This tribute to grade B horror flicks stars Goodman as a fly-by-night producer promoting his newest film “Mant” (half man, half ant) in Key West, Florida during the same week as the Cuban missile crisis. Max. (2015) Thomas Haden Church, Josh Wiggins, Lauren Graham, Robbie Arnell, Mia Xitlali, Dejon LaQuake, Luke Kleintank, Jay Hernandez. Written and directed by Boaz Yakin. A Malinois military dog that helped American Marine Kyle Wincott in Afghanistan suffers from PTSD when his master is killed. Unresponsive to commands, Max is about to be put to sleep when he is adopted by the Wincott family and bonds with Kyle’s nephew Justin. Max 2: White House Hero. (2017) Zane Austin, Lochlyn Munro, Carrie Genzel, Francesca Capaldi, Andrew Kavadas, Reese Alexander. Directed by Brian Levant. Twelve-year-old TJ Bennett, son of the newly elected President, has difficulty adjusting to the constant limelight of life in the White House. Luckily Max, now assigned to the Secret Service, is there to look after him and the daughter of the Russian president when they sneak out on their own. Max is Missing. (1995) Toran Caudell, Victor Rojas, Charles Napier, Matthew Sullivan, Alexandra Hedison. Directed by Mark Griffiths. Twelve-year-old Max isn’t happy about being stuck on an expedition to the Incan ruins with his divorced dad and new girl friend. But when a dying man gives Max a priceless artifact to hide from two vaccaros, his trip turns into an adventure he never expected. McBain. (1991) Chick Vennera, Michael Ironside, Steve James, Jay Patterson, Christopher Walken, Maria Conchita Alonso. Directed by James Glickenhaus. An ex-Ranger agrees to avenge the death of his former CO at the hands of Columbian drug lords. Mean Dreams. (2016) Sophie Nélisse, Josh Wiggins, Bill Paxton, Colm Feore. Directed by Nathan Morlando. Teenager Jonas Ford steals a bag of drug money and runs away with Casey, the girl he loves, while her corrupt cop father, who had forbidden the young couple to be together, and the local sheriff hunt them down. Mean Girls. (2004) Lindsay Lohan, Tina Fey, Tim Meadows, Lizzy Caplan, Amy Poehler, Ana Gasteyer. Directed by Mark Waters. Cady Heron is a hit with The Plastics, the A-list girl clique at her new school, until she makes the mistake of falling for Aaron Samuels, the ex-boyfriend of alpha Plastic Regina George. Meatballs Part II. (1984) Richard Mulligan, Kim Richards, John Mengatti, Misty Rowe, Paul Stout, Scott Stout, Ralph Seymour, Jason Hervey. Directed by Ken Wiederhorn. Flash, a border-line juvenile delinquent is given the choice of being a counselor in training at Camp Sasquatch or going to reform school. He is put in charge of a group of young adolescents who discover an ET send-up alien. Additionally, Flash has to defend his camp’s honor in a boxing match against their rivals across the lake who are trying to shut Camp Sasquatch down. Meet the Applegates. (1990) Ed Begley, Jr. Stockard Channing, Dabney Colman, Bobby Jacoby, Carni Cooper. Directed by Michael Lehman. Man-eating Brazilian beetles take on human form and come to a suburaban American town so they can study and capture their prey, but fall victim to the foibles of suburbia. Men Don’t Leave. (1990) Jessica Lange, Arliss Howard, Joan Cusack, Kathy Bates, Tom Mason, Chris O’Donnell, Charlie Korsmo. Directed by Paul Brickman. When her husband suddenly dies, a young mother and her two sons must leave their comfortable life and home in the suburbs and move to the city. While she tries to rebuild her life and try to keep her family together, her two sons provide her with many trials and tribulations. Men In Black 3. (2012) Will Smith, Tommy Lee Jones, Josh Brolin, Michael Stuhlbarg. Directed by Barry Sonnenfeld. Agent J travels in time to M.I.B.’s early days in 1969 to stop an alien from assassinating his friend Agent K and changing history. The Messengers. (2007) Kristen Stewart, Dylan McDermott, Penelope Ann Miller, John Corbett, Evan and TheodoreTurner, William B. Davis, Dustin Milligan. Directed by the Pang Brothers. Desperate for a fresh start after a tough two years in Chicago, the Solomon family moves to an isolated sunflower farm in North Dakota. The calm and solitude of their new life is shattered when the kids in the family begin to see grotesque ghosts. The Midas Touch. (1997) Trevor O’Brien, Ashley Catagna, Joey Simmrin, David Jeremiah. Directed by Peter Manoogian. When poor Billy Bright acquires the power of turning everything he touches into gold, money is suddenly no problem. But unfortunately he turns his grandmother into gold and she is stolen by crooks who want to melt her down into gold ingots. Midnight Madness. (1980) David Naughton, Debra Clinger, David Damas, Michael J. Fox, Stephen Furst, Patricia Alice Albrecht, Andy Tennant, Brian Frishman, Joel Kenney, Sal Lopez, Maggie Roswell, Robyn Petty, Betsy Lynn Thompson, Carol Gwynn Thompson, Eddie Deezen, Marvin Katzoff, Christopher Sands, Michael Gitomer, Brad Wilkin, Dirk Blocker, Curt Ayers, Trevor Hemley, Keny Long. Written and directed by David Wechter and Michael Nankin. An eccentric graduate student persuades five teams of college students to chase around Los Angeles looking for clues during an elaborate an all night treasure hunt. The Million Dollar Kid. (1984) Richard Thomas, Marueen McCormick, Andrew Sandler, C. Thomas Howell, Corey Feldman, Estelle Getty, Tandy Travis, Kaye Ballard, Clint Howard, Alsion Lohman, Ron Carlson, Mark Metcalf. Directed by Neil Mandt. This modern remake of the Mark Twain story “The 30,000 Bequest” is about the comic trials, tribulations, and realizations about what is important in life that the Hunter family goes through when they misplace a winning lottery ticket and chase all over town trying to find it. Mind Games. (1989) Maxwell Caulfield, Edward Albert, Shawn Weatherly, Matt Norero. Directed by Bob Yari. A psychological thriller about a family’s battle for survival against a cruel, scheming stranger who decides to take control of the family then destroy it thorugh deceit and emotional manipulation. Miracle Dogs Too. (2006) Charles Durning, Leslie Ann Warren, Janine Turner, Patrick Muldoon, Dustin Hunter Evans, Preston Jones, David Keith, Jaleel White, Alana Austin, Jonathan Trent. Directed by Richard Gabai. Ten-year old Zack finds two abandoned dogs that he wants to keep, especially after he discovers that they have magical powers. Miracle in Lane 2. (2000) Frankie Munoz, Rick Rossovich, Molly Hagan, Patrick Levis, Roger Aaron Brown, Tuc Watkins. Directed by Greg Beeman. A courageous young 12-year-old with a handicap refuses to let it defeat him when he discovers that he can compete in soapbox racing and strives to win a championship. Mischief. (1984) Doug McKeon, Corine Mary Stewart, Kelly Preston, Chris Nash. Directed by Mel Damski. Things start to look up for Jonathan, the class nerd, when he befriends a new kid on the block, who turns out to have a way with women and decides to help Jonathan get the girl of his dreams. Mr. Holland’s Opus. (1995) Richard Dreyfuss, Glenne Headly, Jay Thomas, Olympia Dukakis, W.H. Macy, Alicia Witt, Jean Louisa Kelly, Terrence Howard. Directed by Stephen Herek. This film about the thirty year struggles of a music teacher to make ends meet, inspire his students to perform music at a high level, and deal with the pressure of raising a deaf son is an emotional tribute to the importance of arts education in our schools. Mr. Nanny. (1993) Hulk Hogan, Sherman Hemsley, Austin Pendleton, Robert Hy Gorman, Madeline Zima, Raymond O’Connor. Directed by Michael Gottleib. Hogan is hired as a combination baby sitter and bodyguard for the children of an eccentric inventor. The Money Pit. (1986) Tom Hanks, Shelley Long, Alexander Godunov, Maureen Stapleton, Joe Mantegna. Directed by Richard Benjamin. Hanks and Long play a couple determined to remodel their house into a dream house. However, everything goes wrong and soon their dream becomes a nightmare. Monkey Trouble. (1994) Thora Birch, Harvey Keitel, Mimi Rogers, Christopher McDonald. Directed by Franco Amurri. The life of a young girl who has been out of sorts at home and school changes when she finds a new friend — a monkey who has escaped from his gypsy owner. The only problem is the monkey is a trained thief, and gets Eva into all kinds of trouble as a result. A Monster Calls. (2016) Lewis MacDougall, Sigourney Weaver, Felicity Jones, Liam Neeson, Toby Kebbell. Directed by J.A. Bayona. Small for his age, young Conor feels very damaged, guilty and mostly angry when outside his inner world of drawing and imagination. He struggles at school with bullies, pity looks from everyone, and at home with his mother’s terminal sickness and the absence of his father until a huge yew tree monster helps him face the truth. Categories: Drama, Coming of Age, Fantasy. Monster High. (1989) Dean Iandoli, Diana Frank, David Marriott, Robert Lind, Sean Haines, Doug Kerzner, Bob Cady. Directed by Rudiger Poe. Montgomery Sterling High School has its usual share of space cadets, but this semester’s transfer students are out of this world. Things come to a head when their leader Mr. Armageddon arrives out of an intergalactic basketball with the goal of destroying the earth. Categories: Comedy, Horror, Science Fiction/Fantasy. Monster Night. (2006) Jake Thomas, Vanessa Angel, Robert Carradine, Joss Saltzman, Bob Thomas, Kareem Abdul-Jabbar, Jimmy Bennett, Carrie ‘CeCe’ Cline, Chris Coppola, Taylor Greer, Nikki Griffin, Richard Halpern, Matthew Lawrence. Directed by Leslle Allen and Lorenzo Doumani. When the Ackerman family moves into a run-down mansion in Los Angeles, their teenaged son has trouble being accepted into the local high school scene until Halloween, when he and his younger sister and brother find out that their house is haunted and a popular Halloween hangout. Categories: Comedy, Adventure, Science Fiction/Fantasy. Morgan. (2016) Anya Taylor-Joy, Kate Mara, Michael Yare, Rose Leslie, Paul Gaimatti, Jennifer Jason Leigh. Directed by Luke Scott. A corporate risk-management consultant must decide whether or not to terminate an artificially created humanoid being that is starting to attack humans. Motorama. (1991) Jordan Christopher Michael, Matha Quinn, Meatloaf, Drew Barrymore. Directed by Barry Shils. A rebellious young ten year old steals the family car and goes on a surrealistic cruise around the country while trying to win a lottery game by collecting coupons at Motorama gas stations. The Mudge Boy. (2003) Emile Hirsch, Tom Guiry, Richard Jenkins, Pablo Schreiber, Zachary Knighton, Ryan Donowho, Meridth Handerhan, Becki King, George Woodard. Written and directed by Michael Burke. A fourteen-year-old farm boy tries to cope with his mother’s death and his own effeminate behavior in a world of rednecks. Munchie. (1992) Jaime McEnnan, Loni Anderson, Andrew Stevens, Arte Johnson, Jennifer Love Hewitt, Dom DeLuise. Directed by Jim Wynorski. Life suddenly changes for ten-year-old Gage, who is bullied at school and by adults when he discovers a chest containing Munchie, a mysterious dwarf-like creature who has the power to turn Gage’s life around. The Muppets. (2011) Jason Segel, Amy Adams, Chris Cooper and Rashida Jones. Directed by James Bobin. Walter, a Muppet, enlists the help of human friends Gary and Mary in regrouping the Muppet gang to prevent oil baron Tex Richman from buying and destroying their theater. My Bodyguard. (1980) Chris Makepeace, Matt Dillon, Martin Mull, Ruth Gordon, Adam Baldwin, Paul Quandt. Directed by Tony Bill. When the school bullies try to extort money from young Clifford, he refuses to pay up. Instead he hires a bodyguard, a huge class misfit who even the bullies are afraid of — until they plot their revenge. My Dead Boyfriend. (2016) Heather Graham, Kate Moening, Griffin Dunne, Scott Michael Foster, Martha Milan, Viola Harris, John Corbett, Gina Gershion. Directed by Anthony Edwards. Mary's life has been defined by a string of temp jobs and a half-hearted attempt to become a writer, but all that changes when she comes home to find her couch potato boyfriend dead in front of the TV set. During her misadventures in trying to get rid of his ashes, Mary discovers that there was much more to him than she ever thought imaginable. My Girl. (1991) Dan Aykroyd, Jamie Lee Curtis, Macaulay Culkin, Anna Chlumsky, Richard Mansur, Griffin Dunne. Directed by Howard Zieff. Vada Sultenfuss, an eleven year old with aspirations to become a writer learns about life (and death) when her widowed father, the town mortician, gets a new girl friend, and through summertime adventures with her best friend, a shy but intelligent boy living next door. My Girl 2. (1994) Anna Chlumsky, Dan Aykroyd, Jamie Lee Curtis, Austin O’Brien, Richard Masur. Directed by Howard Zieff. In this sequel, Vada travels to Los Angeles to try to find out about her long dead real mother and finds romance with the son of her uncle’s girl friend. My Magic Dog (aka My Ghost Dog). (1997) Leo Milbrook, Bryan Mendez, Jessica Knoblauch, Sarah Tinnon, Russ Tamblyn, Kate Doughan, John Ermin, Jerry Turner. Directed by John Putch. A twelve-year old kid’s dog is killed in an accident, but comes back as a spirit to help him stay with his step father and prevent his aunt from gaining custody of the boy and his inheritance. My Science Project. (1985) John Stockwell, Danielle von Zerneck, Fisher Stevens, Raphael Sbarge, Richard Masur, Barry Corbin, Ann Wedgeworth, Dennis Hopper. Directed by Jonathan R. Betuel. A high school student trying to acquire a science project at the last minute, scrounges around a military base’s junk pile to find something to pass off for his project. What he finds turns out to be a device that unleashes power from another dimension. Categories: Adventure, Comedy, Science Fiction, Teenagers. My Soul To Take. (2010) Max Thieriot, John Magaro, Denzel Whitaker, Zena Grey, Nick Lashaway, Paulina Olszynski, Jeremy Chu, Emily Meade, Raul Esparza, Jessica Hecht. Written and directed by Wes Craven. A serial killer returns 16 years later to the small town of Riverton to kill the seven children who were born the night he was left for dead. Mystery Date. (1991) Ethan Hawke, Teri Polo, Brian McNamara, Fisher Stevens, B. D. Wong, Tony Rosato. Directed by Jonathan Wacks. Tom, a shy college student, home for the summer, has eyes on his beautiful neighbor. His suave older brother sets him up on a date by getting reservations at the city’s hotspots and calling her and impersonating Tom. But the perfect evening quickly turns into a nightmare as Tom is mistaken for his older brother and is quickly drawn into a world of espionage and crime. Mystery Kids. (1999) Brighton Hertford, Jameson Baltes, Christopher Allport, Jeanetta Arnette, Derk Cheetwood, Mariam Parris, Eve Brenner. Directed by Lynn Hamrick. Geneva Johnson, an aspiring 12-year-old mystery writer, and her best friend, Tommy, spend their summer searching for a missing girl in order to collect a $5,000 reward. The witty and well-delivered dialogue along with the great personal rapport of these junior sleuths combine to make this a gem of the mystery genre suitable for the whole family. Categories: Drama, Family, Crime and Mystery. Mystery Men. (1999) Ben Stiller, Hank Azaria, Greg Kinnear, Janeane Garofalo, Geoffrey Rush, William H. Macy, Kel Mitchell, Paul Reubens, Tom Waits. Directed by Kinka Usher. Wannabe super heroes with limited and often silly powers band together to try and rescue a genuine super hero from an evil villain in this satire of comic book character movies. Categories: Drama, Action/Adventure, Science Fiction/Fantasy. Mystery Monsters. (1997) Ashley Lyn Cafagna, Tim Redwine, Daniel Hartley, Michael Dennis, Caroline Ambrose. Directed by Robert Talbot. Unusual-looking gremlins who appear on a kiddie show as puppets are kept against their will by the show’s corrupt host, Captain Mike. 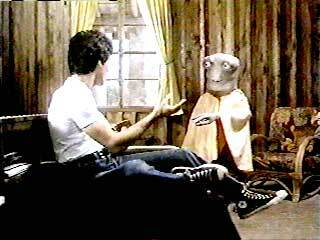 Tommy and Susie, two kids also appearing on the program are the monsters only hope for freedom. 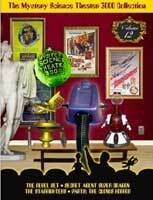 Mystery Science Theater 3000. (1996) Trace Beaulieu, Michael J. Nelson, Jim Mallon, Kevin Murphy, John Brady. Directed by Jim Mallon. Mike Nelson and his robot companions watch and give their comments about “This Island Earth”. The Mystical Adventures of Billy Owens. (2008) Roddy Piper, Dalton Mugridge, Christopher Fazio, Ciara O’Hanlon, Jordon Goulet, Paul Germs, Jennifer Pearson, Bob Mugridge, Jenny Elliott, Phil Babcock. Directed by Mark McNabb. Billy Owens is turning 11 and begins to discover that he has some magical powers which he needs to save his town of Spirit River.